Check out these 5 benefits of an insulated garage door provided by American Garage Door and Gate Systems. Maybe you’ve been kicking around the idea of upgrading your garage door but aren’t positive that the benefits validate the investment. Today, we’ll give you a good idea what you will gain by making the switch. Okay maybe that’s not really a technical term, but the idea is this – any rooms or spaces that connect to your garage will stay warmer. On average, a garage with an insulated door will lose approximately 70% less heat than a garage with an uninsulated door, regardless of whether or not it is heated. Of course, that helps keep the adjoining areas from losing heat as quickly. During winter’s chill, vehicles often will refuse to start because of a dead battery. Keeping your car warm will help avoid this problem. Parking your car indoors is usually enough, but on the coldest nights, a garage with an uninsulated door is not enough. An insulated garage door, however, will provide enough protection to keep this from being a problem. Also on the list of 5 benefits of an insulated garage door is noise reduction. The insulation will absorb the shaking and rattling as your door opens and closes, effectively dampening the sound. If you leave early or come home late, you’ll be less likely to disturb anyone in the home with garage door clatter. It also helps reduce street noise. An insulated garage door will keep your garage warmer and make it easy to keep the temperature comfortable with just a space heater. That means that you can use your garage for projects like woodworking, painting or other hobbies. In the dead of winter, even a strong space heater won’t keep the chilly drafts at bay enough to comfortably work on your project, but an insulated garage door can make a world of difference. An insulated garage door is not only resistant to cold and noise but also to common damage. The insulation will help absorb the shock of blows made by balls, frisbees and other objects that commonly take flight when there are kids around and reduce the occurrence of dents and dings. You may think that you can simply add insulation to your existing garage door to save money, but the truth is that it often will cost you more in the long run. There are 2 reasons for this. First, the door becomes substantially heavier with the added insulation and will usually require that the entire garage door opener is replaced. Second, it is challenging to reassemble the door again perfectly enough once you have opened it up to add the insulation. This leads to a loss of structural integrity, and even the insulation doesn’t perform as well. If these 5 benefits of an insulated garage door inspire you to finally take the plunge and update your door, give us a call at American Garage Door and Gate Systems. We’ll help you pick the perfect door and install it for you in no time. 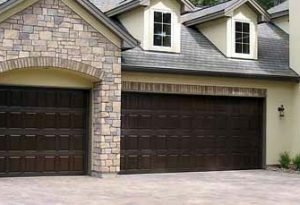 Thinking About Replacing Your Garage Door?